Pavilions and Shades: Relax in style! Do you want to buy a bamboo eco pavilion or shade? Besides luxury bamboo eco resort tents, Mocadazu offers you a variety of unique, super luxurious and exotic bamboo pavilions and shades. All our bamboo products are handmade, with care for people and nature. They are designed to provide a pleasant climate outdoors and allow you and your guests to enjoy the beauty of nature while being protected from the heat of the sun or from rain. 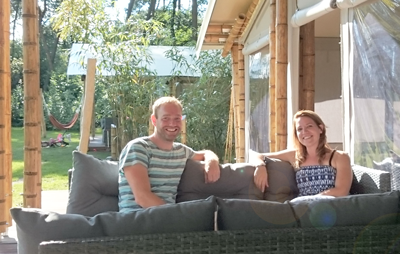 If you want to buy a bamboo pavilion or shade, Mocadazu is the right place for you. 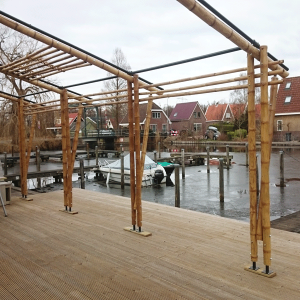 We have designed several bamboo pavilions and shades that can be used for a wide variety of occasions, such as a dining area, shaded hammock or lounge area. 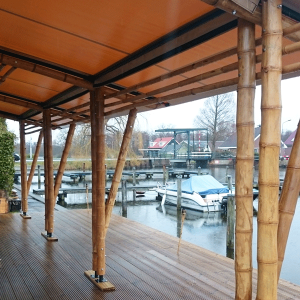 We proudly present our luxury bamboo pavilions and shades! The Mocadazu pavilions are designed to provide a pleasant climate outdoors. 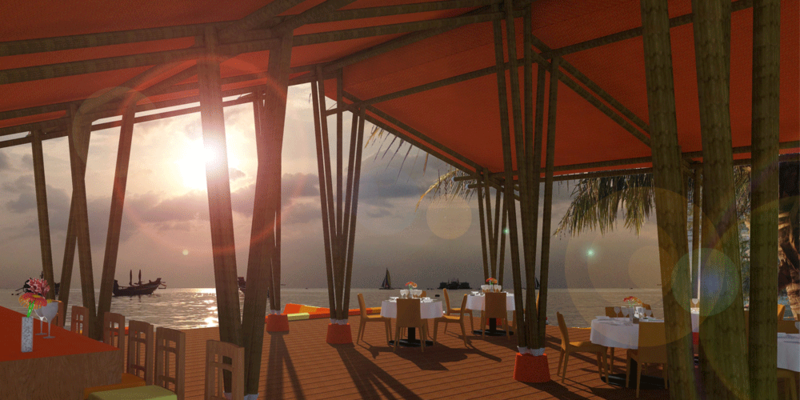 The pavilions allow guests to enjoy the beauty of nature while being protected from the heat of the sun or from rain. We have designed several pavilions that can be used for a wide variety of applications, such as a covered dining area, yoga space or lounge area. 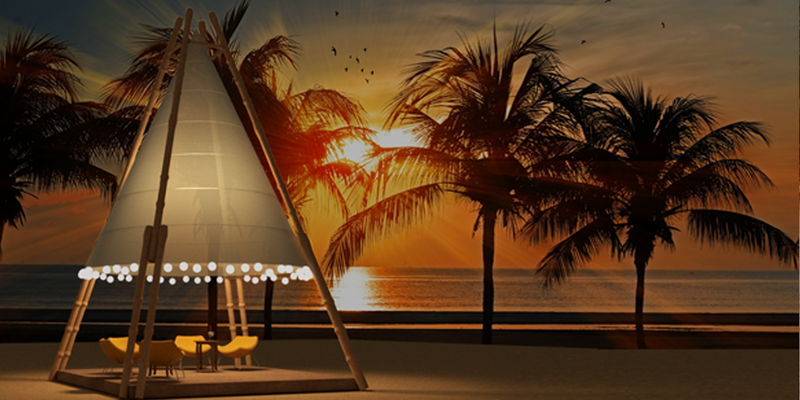 They are beautiful freestanding pavilions and are available in different designs and sizes. More information about the Mocadazu pavilions, click here!! 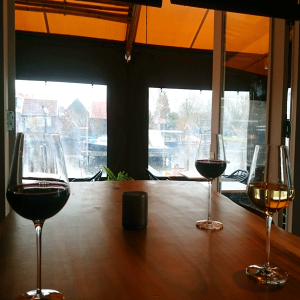 The Mocadazu shades are bespoke shades for your terrace in the garden or as an extension of your restaurant or bistro. The roofs are tailor-made and can be attached to your facade. At Mocadazu we have developed a modular building system, which allows us to easily create a shade that exactly meets your specific requirements. More information about the Mocadazu shades, click here! 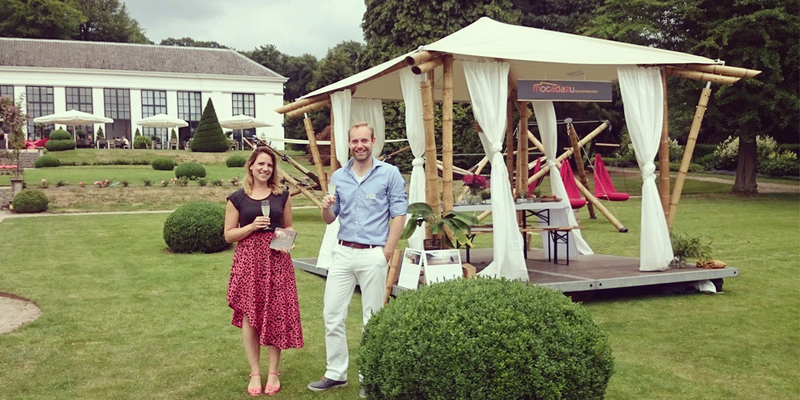 Do you have any questions about our luxury bamboo pavilions or shades? 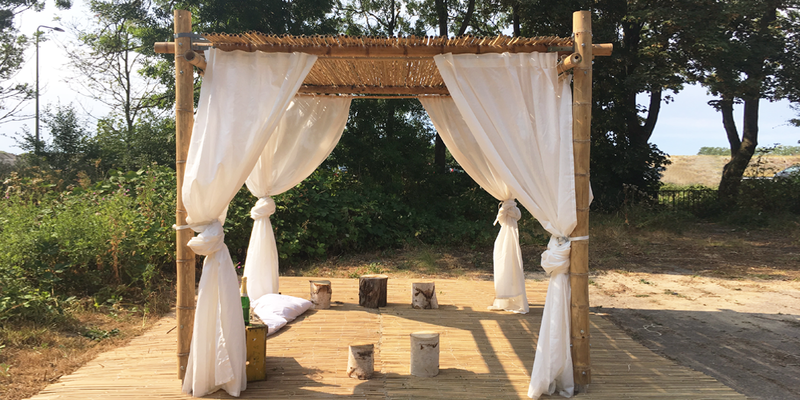 The Bamboo beach is a gorgeous exotic bamboo pavilion, perfect to be placed at the beach, in a garden or beside your swimming pool. Its elegant design is characterized by simplicity. The roof of thin bamboos gives an exotic ambiance and provides shade and coolness on hot days. The frame is made of light brown Guadua bamboo. The roof of thin bamboos is made of Moso bamboo. The Mocadazu ambiance really stands out and attracts anyone’s attention! 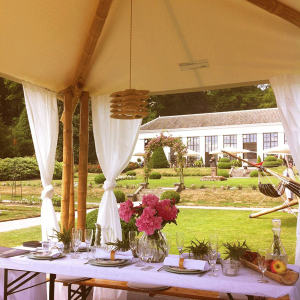 This bamboo pavilion is perfectly suited to create beautiful atmosphere during your event. 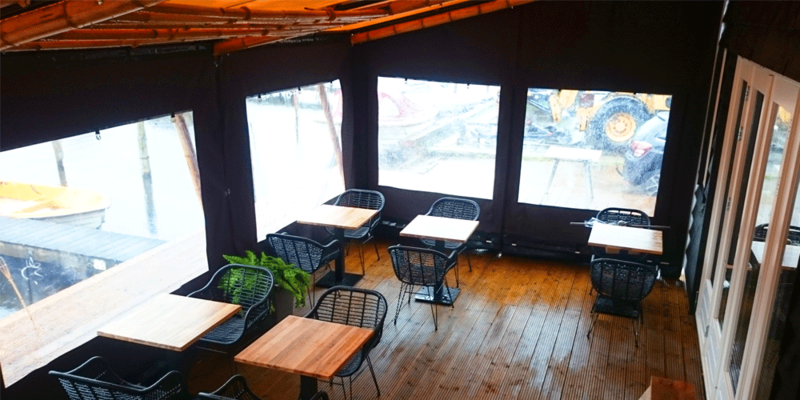 It can be used as a unique dining area, lounge area or decoration for your event. 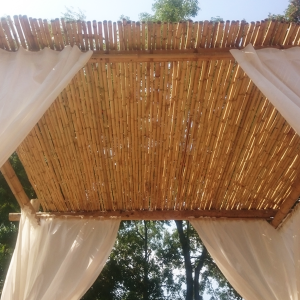 The frame is made of light brown Guadua bamboo and the hanging roof is a high quality tent fabric. 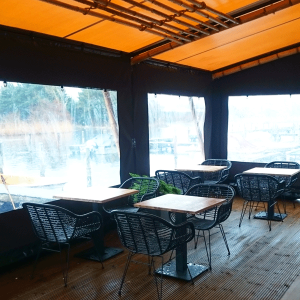 Mocadazu shades for restaurants are bespoke bamboo shades, perfect as a covered restaurant area. You can think of roofing over your terrace in the garden or as an extension of your restaurant or bistro. The walls can be opened completely on a sunny day. With our modular building system, we can also easily create a bespoke pergola for your garden. You can think of a pergola, partly covered with a roofing, to give an exotic touch to your terrace in the garden. Mocadazu shades for resorts are perfect to create a covered restaurant area at your resort. 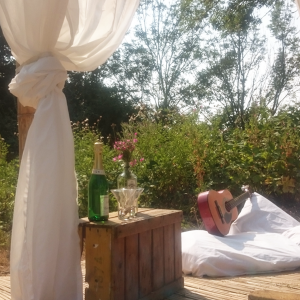 You can also think of a covered reception, welcome area, lounge area or yoga space. 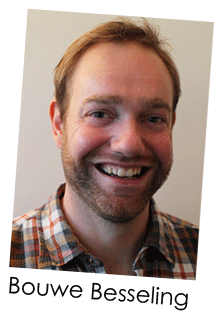 Please let us know what kind of information you would like to receive. We will send you our digital brochure. If you would like to receive specific information about one of our luxury bamboo tents, you can indicate this below. Of course you can also contact us directly! We can be reached via design@mocadazu.com . Order your luxury bamboo products directly from us! Mocadazu is the leading brand in the field of luxury bamboo glamping tents and pavilions. The bamboo products of Mocadazu are unique in the world, super the luxury and also eco-friendly. 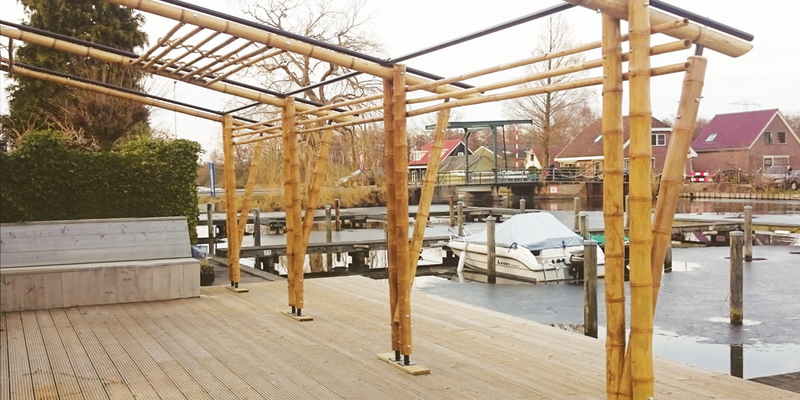 Bamboo Import Europe is specialized in the supply of bamboo poles, bamboo fencing and bamboo plywood for the international construction market. They sell directly to the consumer and businesses alike. SpaTree started in 2004 when the founder, Jannita Mossel, had travelled extensively to different parts of the world to study local health therapies and developed a strong interest in ancient healing practices. Together with SpaTree we developed our Spa & Resort Lodges. 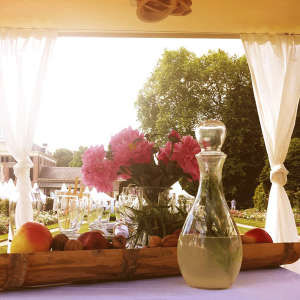 Would you like to organize an event on a beautiful location? 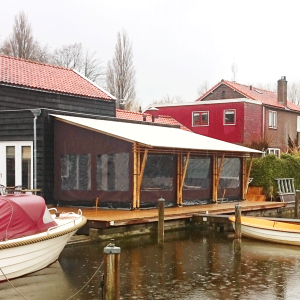 You can rent a unique bamboo pavilion, starting from only € 500,- per day. You can send an e-mail to design@mocadazu.com or fill in the contact sheet. We will send you one of our digital brochures. If you have specific questions, please feel free to ask us! Do you want to stay updated on our company and our new designs? Please subscribe to our newsletter.